Low carb diet for fat loss. Is it safe to do Keto diet? Cutting down carbs? 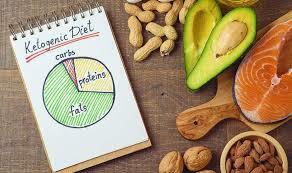 There’s no deny that low carbohydrate diets are gaining huge popularity in the health and fitness world. There is a long list of low carb diets to choose from, but do they actually work? Lately, low calories dieting programs have been attracting more media attention. Reason? It is effective and safe if its done properly. So what are the pros and cons of such low carbohydrate diets? Does refraining from carbs cause any health issues? Do these popular diets give us enough nutrition to sustain our body functions? Are they sustainable? Which is better, low carb diet or low fat diet? Some common examples of low carb diets are: South Beach, Atkins, Dukan, Ketogenic / Keto diet, The Zone, Paleo, Whole30, Mediterranean, zero carb… etc. Tons of such diets all focus on 1 thing- restraining calories input from carbohydrate foods. Let’s explore further on whether they work on everyone. How does low carb diet works? 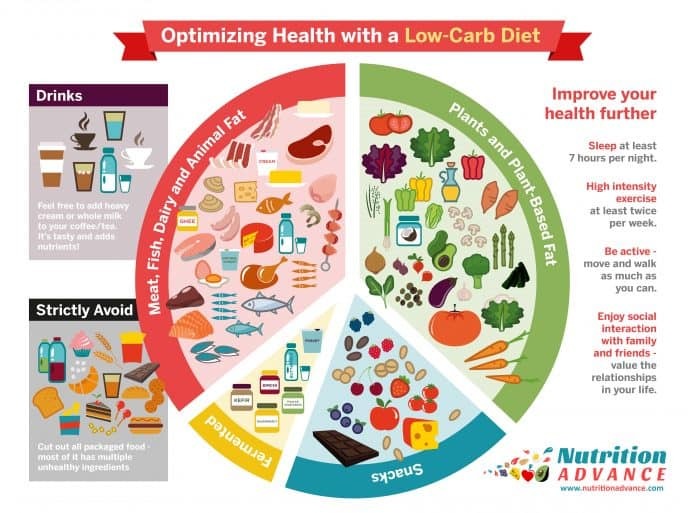 Low carbohydrate diet chart with guidelines from www.nutritionadvance.com. The idea of cutting down on carbohydrate foods is to prevent the stimulation of insulin spike. Insulin is a hormone that is responsible for transporting sugars/glucose from carbs into our body cells, used as fuel for energy. It helps to absorb glucose in our body, maintaining our blood sugar level. Excess amount of un-utilised sugars will be easily stored as fat, thus causing weight gain. High protein foods do not cause the same rise in insulin levels. According to some studies, insulin levels can be quite stable and consistent through out the day with a protein rich diet. Therefore, substituting carbohydrates with high protein foods promote the use of stored fats for energy, resulting in weight loss. 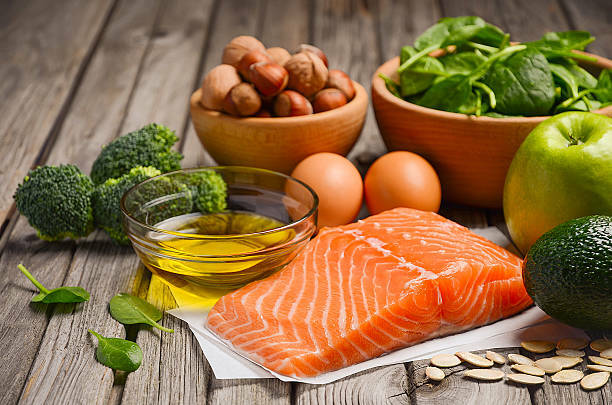 Some researchers also states that some low carb diets such as the Mediterranean Diet and Keto diet, can also help to improve insulin sensitivity, making glucose to be absorbed easily, keeping our blood sugar levels in balance. 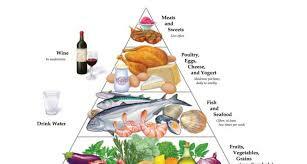 Lets take the Mediterranean diet as an example. This diet is actually quite healthy and sustainable, depending on individual preferences. This diet recommends eating mostly plant-based foods (whole food) such as grains, nuts and fruits. Eating poultry, fish and dairy products in moderation and cutting down a lot on red meat in your meals. The idea is to cut down on processed, artificial foods that is high in fats and sugars. The Mediterranean diet is one option to improve insulin sensitivity, reducing the risk of getting type 2 diabetes. Example of a ketogenic diet plan. The “extreme” and the “relaxed” approach. The extreme approaches are the Atkins, South Beach and Keto diets. These “extreme” dieting approach only recommend a carbohydrate level of 20-40 grams per day at the start. While the Recommended Dietary Allowance (RDA) for carbs is around 150 grams per day. However, most people are eating well over 220 grams per day (1 reason why they put on weight). Diets such as The Zone and Mediterranean uses the “relaxed” approach. Only 30-40% of their total calories are made up of carbohydrates, although the average recommended is 45-65%. Protein and some fats made up most of the foods. 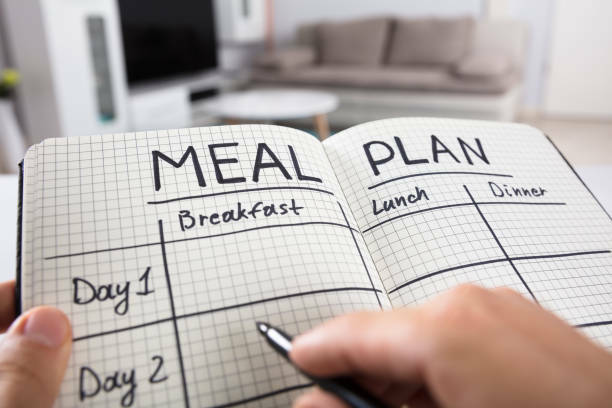 These “moderate” low carb style meal plans are more towards a well-balanced nutritional plans, in which seems to be a bit more realistic and sustainable. Some allow unlimited high amounts of red and white meat, poultry, fish, eggs, bacons and fats. A very good example is the Ketogenic diet. 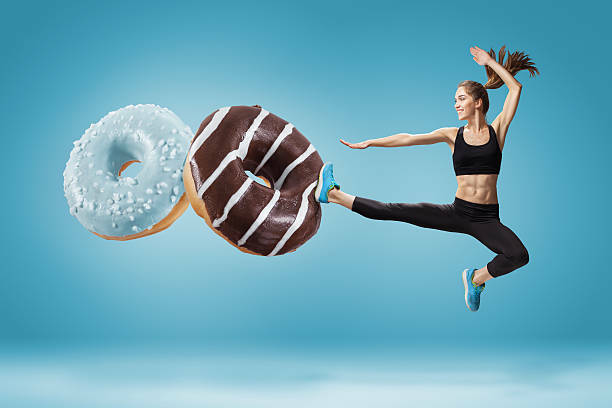 Some allow high amounts of whole grained foods, nuts and fruits while restricting meat, fats and processed carbs such as white bread, pasta and sugary cereals. “Low carb is just a general term to describe a diet plan. We don’t fully understand the impacts and implications of such diets yet.” says Personal Trainer Sean Lee, owner and writer of PT works. However, we are beginning to get a clearer picture of the pros and cons of such fat loss approach. Here are the advantages of going low carb. Rapid weight loss at the start (usually the first 3-6 months). It is proven to be more effective than the conventional low calories or low fat diet. Studies have shown that low carbohydrate program can lose up to twice the amount of fats as compared to those conventional diets. Keeps you lean. Less consumption of carbs means lower water retention. Easy to follow. They are not complicated and its relatively easy to differentiate good and bad carbohydrates. The good carbs are known as complex or low Glycemic Index (GI). The bad carbs are also know as simple carbs. Have a positive effect on both HDL cholesterol and triglycerides level. It helps to increase HDL (High Density Lipoprotein) Cholesterol, also known as the “good” cholesterol. Secondly, it also helps to lower our triglycerides level in our blood. Triglycerides are a type of fat that is found in our blood. High blood triglycerides can increase the risk of getting heart diseases. Lowers blood sugar and prevent insulin spikes. Both of these are maintained at a low and consistent level. Insulin production is mostly stimulated by carbohydrates. Elevated insulin levels results in increased glycated haemoglobin, increased blood pressure and triglycerides. Reduce appetite and food cravings. Higher composition of protein rich and fat foods suppress appetite and keep us feeling full for a longer period. A controlled study was done by the American Association for the Study of Obesity in 2003 on a group of obese children. It shows evidence that the low carb, high fat group can consume more food than the standard low calorie group and still lose more weight. Reduce inflammation in our body system. High Carb diet can induce inflammation. Insulin spikes caused by excessive sugars leads to higher production of C-reactive protein (CRP), which are the markers of inflammation in our body. Increase energy level. Lower levels of insulin improves mitochondrial health, giving you more energy every day. Puts your body into the Ketosis state. Ketosis is a metabolic state that promotes using of energy from your body fat reserves. Therefore, you can have energy fuel from both food sources and your fat storage. With the extra storage of fats as fuel, we feel more alert, energetic and more productive. Studies have also shown that a low carb ketogenic diet can helps to treat neurological diseases such as epilepsy in children. Lowers Low Density Lipoprotein (LDL) cholesterol. LDL cholesterol are “bad” cholesterols that increase your risk of getting metabolic diseases. You can enjoy good tasty food. The strict and typical low-calories diet plans forces us to eat tasteless and bland foods. Don’t get me wrong, these tasteless foods are usually healthy. But do we need to torture ourselves all the time? Allow us to enjoy nutritious food such as beef, fish, chicken wings, eggs, bacons, sausages and cheese. We don’t need to cut calories from delicious food. We just cut out the calories from the carbs. Remember, having a super strict low calorie diet with “clean food” is not going to be sustainable in the long run. Disadvantages of going low carb. 1. Weight loss effect decreases over time after 6-8 months. There is no significant differences between a low carbohydrates diet versus a conventional calories restricted diet after some time. Remedy? Try to change the variety of foods. Modify your food plan. Re-distribute your calories from protein and fats evenly throughout the day, but stay away from all simple carbs as usual. Increase your activity level. Start a personal training program! 2. Strict low-carb, high-fat diets put our body into ketosis state. Ketones are the by-products of fat metabolism. Chronic ketosis can cause a huge accumulation of ketones in our blood. This stage is not our normal metabolism state and can cause harmful effects such as dehydration, nausea, fatigue, dizziness, loss of mental concentration and bad breath. Some research shows that extreme chronic ketosis can lead to depression in some people. However, longer term effects of ketosis on our brain are still unknown. Remedy? Take a break and slow down the process if you experience the first sign of fatigue. You might be going too low on carbs. Try increasing your carb intake by 10-20 grams daily while maintaining your protein and fat intake. 3. Constipation is often a common side effect. When you cut your carbs in a huge amounts, we often missed out high fibre foods such as whole wheat pasta, wholemeal bread, wholegrain oats and cereals, potatoes, berries, oranges, pears, sweetcorn and beans etc. Lack of fibre rich foods will affect our digestive system and cause constipation. Make sure your GI tract can work efficiently. Remedy? Increase 10-20 grams of carb daily with whole foods mentioned above. Remember not to over consume. Maintain your protein and fat intake as usual. 4. Lack of nutrients such as vitamins, minerals and antioxidants. Food choices are often restricted in the beginning of your dieting plans. The lack of variety of food choices makes one difficult to stick with it for long term. There is also a high chance of inadequate intakes of good minerals and vitamins. Lacking of such nutrients can affect our immune system, causing illnesses and diseases. Remedy? 2 ways. First, try to increase mineral rich food such as leafy vegetables and fruits. Secondly, If you are not a big fan of such food, try to take proper health supplements such as multivitamins. Of course, nothing beats natural food. Put in new colours in your groceries bag. To ensure a full complete nutrition, make sure your shopping cart is full of bright colours such as red, orange, violet, yellow and purple etc. Natural bright coloured foods are often high in vitamins and minerals. 5. Excessive meat consumption linked to colon and prostrate cancer. Super low-carb and zero-carb diets are detrimental to health. Its not recommended by doctors. Diets that allow less than 10grams of carbs per day are highly associated with bad health. So do you think zero-carb diets help? Definitely no. Remedy? Cut down a bit on red meat and seafood. Stick to more white meat such as chicken and fish. 6. Time consuming to prepare low carb recipes. Commitment is needed to prepare the food in order to make it more tasty and nutritious without having any nutrient deficiency. For people with a busy lifestyle, it might be a challenge as a lot of time is needed in the kitchen to prepare the food. A lot of trial and error is needed in order to prepare a solid low carb food plan. Remedy? Buy some good cook books and do some research on the internet. Barnes and noble, Dr. Jonny Bowden, Fran McCullough, James beard are some names you might want to research on. 7. Too high in “bad” cholesterol. There is a risk of consuming unhealthy foods even though some evidence shows that low carb diets can reduce “bad” cholesterol and blood pressure. Be extremely careful on high fat foods such as bacons and fatty cheese. Unhealthy fats and processed meats can be detrimental to our health. Remedy? Avoid processed meat and foods that contains harmful LDL cholesterol’s, saturated fat and trans fat. “Trans fat are equally as bad. They raises LDL cholesterol and lowers HDL cholesterol,” According to American Heart Association. Avoid anything fried, fast food and take aways. Instead, eat foods that lowers our LDL cholesterol level. Eg, Fish high in omega-3 fatty acids (salmon, tuna, king mackerel), soy foods (tofu, soy protein), plant stanols and sterols found in margarine spreads. 8. You will feel terrible at the start of the diet. The first initiation of your low-carb program can be an awful experience. Sudden drop in your carbohydrates intake will make you feel weak, exhausted and depressed. Chances of having headaches and feeling nauseas are high. You will also crave for carbs. Remedy? Start slowly. Reduce your carbs gradually. Do not crash your diet. If you still experience side effects after a week, return to normal eating and try again. Usually the headaches, tiredness and cravings will subside after 3-4 days. So mental endurance and perseverance is very important at the beginning. Make sure you are mentally prepared before you start. Bottom line: Choose your Low carb diet wisely. Writing down a proper meal plan is important. There are many convincing evidences of the effectiveness of reducing your carbohydrates in your diet. We believe that every different types of diet will eventually lose its effectiveness after a long period of time. We need to understand our body better before embarking into any types of diet. Be patient if you are about to start a low carb diet. We would recommend you to start off with a “relaxed” one, that is reducing carbs gradually in small amounts. Following an extremely low carb ketogenic diet is optional. It is not necessary unless you have specific goals or targets to meet. Ketogenic diet if done incorrectly, might have adverse effects on health. We strongly advise you to formulate your diet wisely and correctly with a good variety of food choices. Food choices with great variety is the one that determines whether your diet is healthy or not. Just remember, a nutritious low carbohydrate meal must include good amount of healthy animal foods and plenty nutrient dense, plant-based whole foods.